Sometimes superstitions do come true and for those that fear the dreaded Friday the 13th there was certainly a degree of bad luck that contributed to the journey to Doncaster Minster in mid December. Following a non fatal accident around half a mile from the venue many members of the band got stuck in queues that took almost an hour to negotiate. 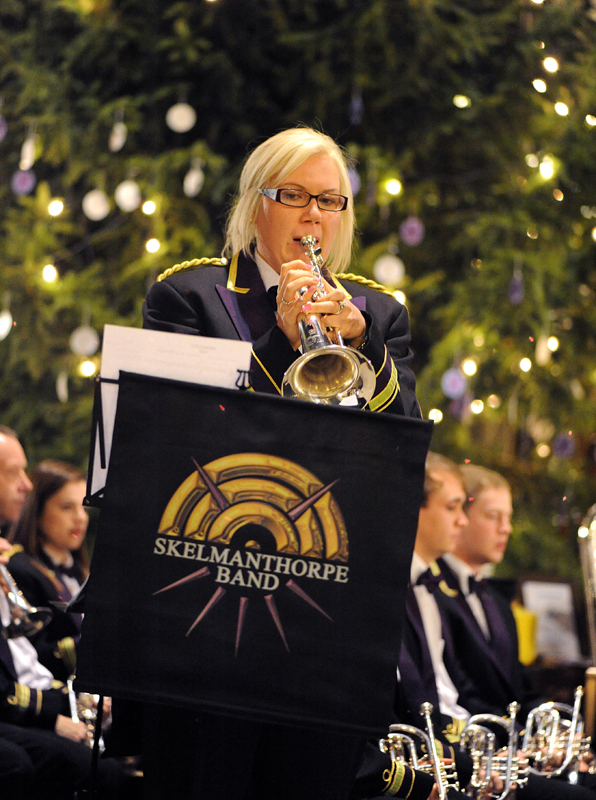 The Skelmanthorpe Band was very thankful to our friends in the Wheatsheaf choir, whom we shared a stage with, for altering their programme in order to give the band enough time for all the players to arrive. 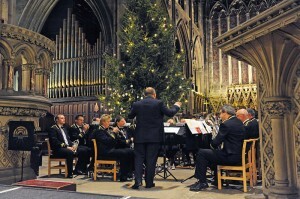 The concert itself was an uplifting affair with Christmas music that spanned from the first ever known carol ‘Gaudete’ to an up to date arrangement of ‘Santa Baby’ first popularised by Eartha Kitt and more recently recorded by Kylie Minogue – in this instance the solo was played by Laura Brown on Tenor Horn who dressed appropriately for the piece! 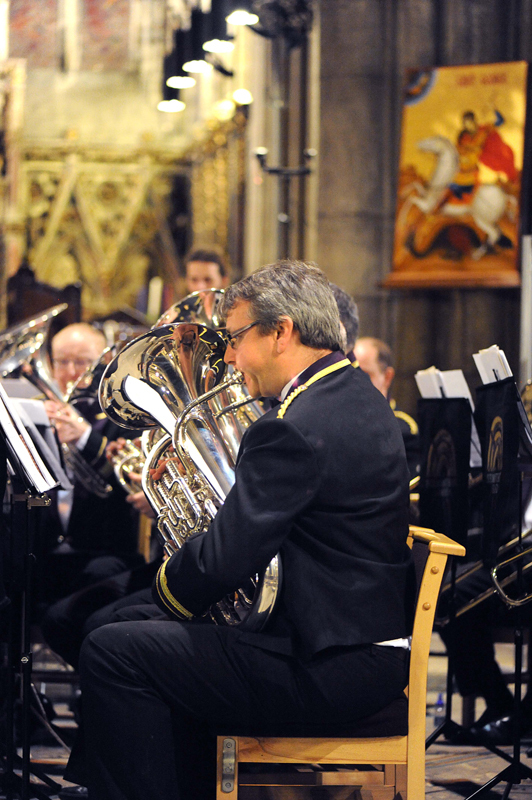 Other solo performances came from Rob Cavender with an excellent rendition of ‘O Holy Night’ and Sian Linney who played a solo arrangement of ‘Away in a Manger’ stunningly to an appreciative audience. 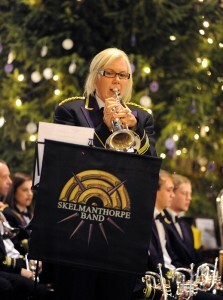 Our thanks go to Rob Westacott who did a fantastic job of preparing and leading the band for the concert.